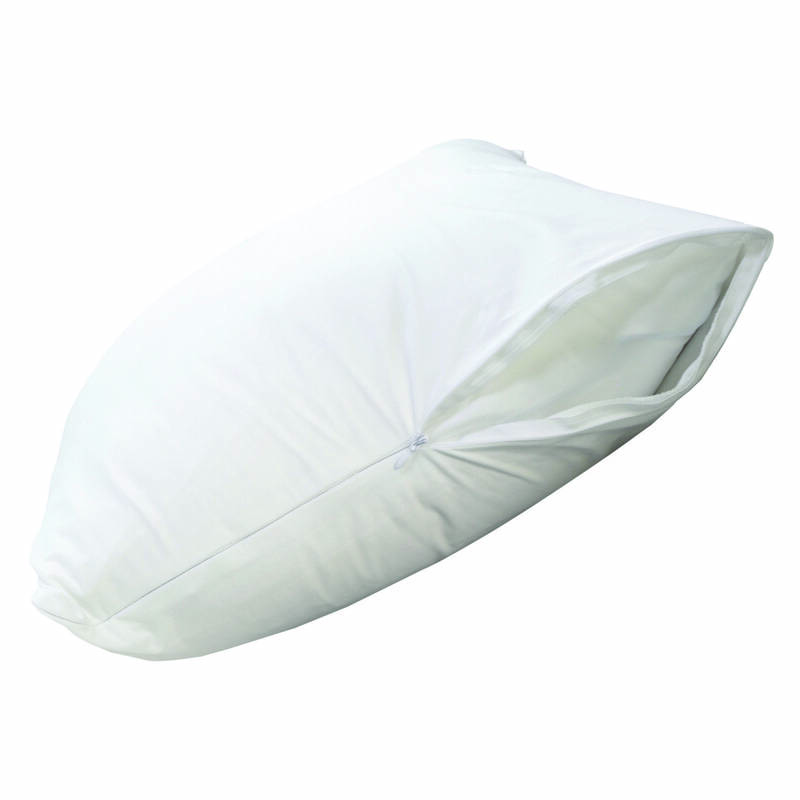 Our pillow protectors provide protection for you and your pillow. 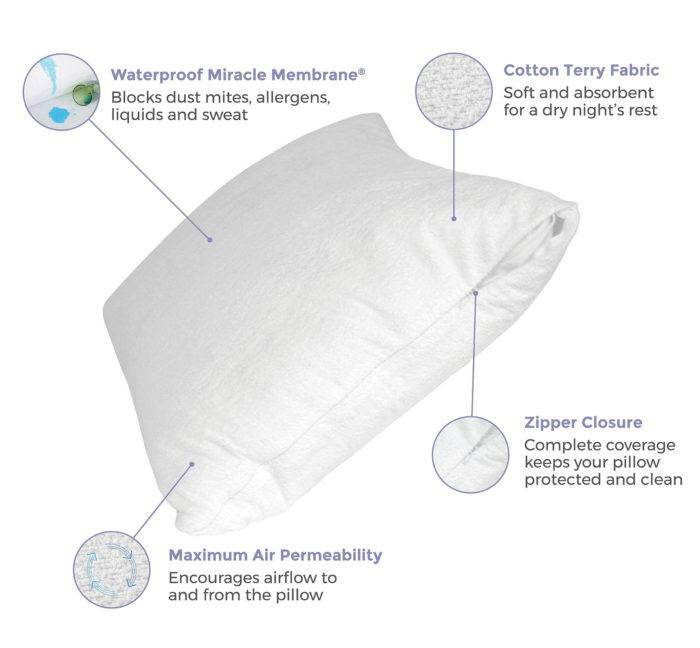 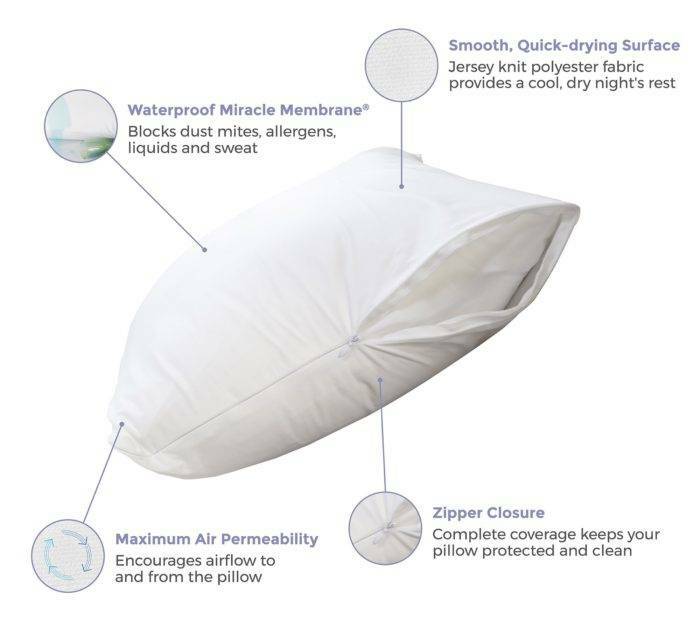 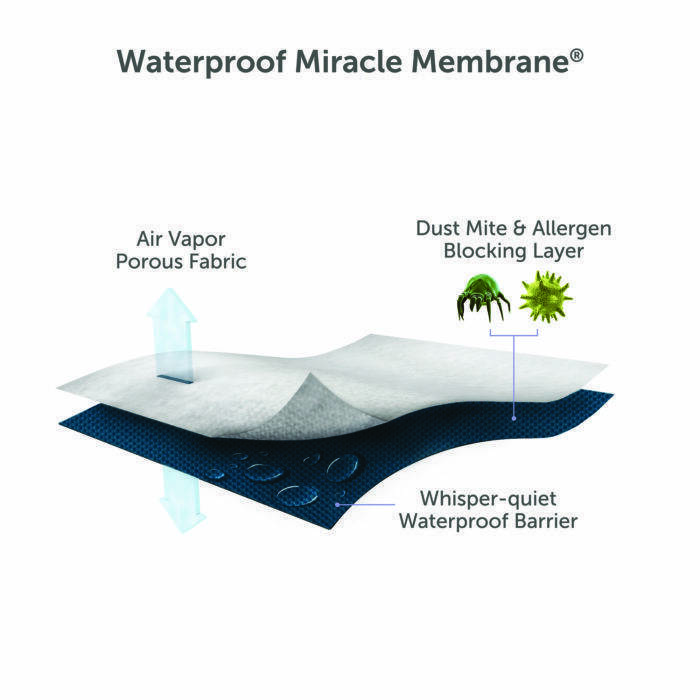 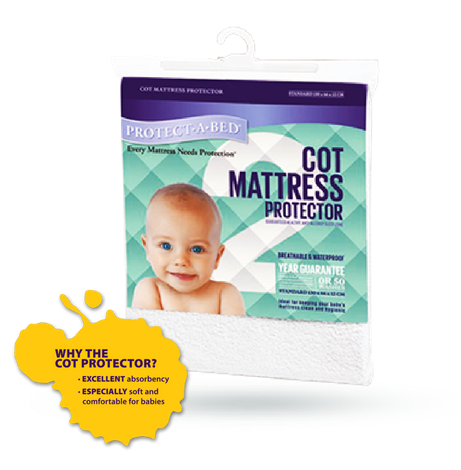 Made with our trademarked Miracle MembraneTM they are super soft, absorbent and whisper quiet, while remaining ultra-thin and breathable, protecting you from allergens, dust mites and bacteria that lurk in your pillows. 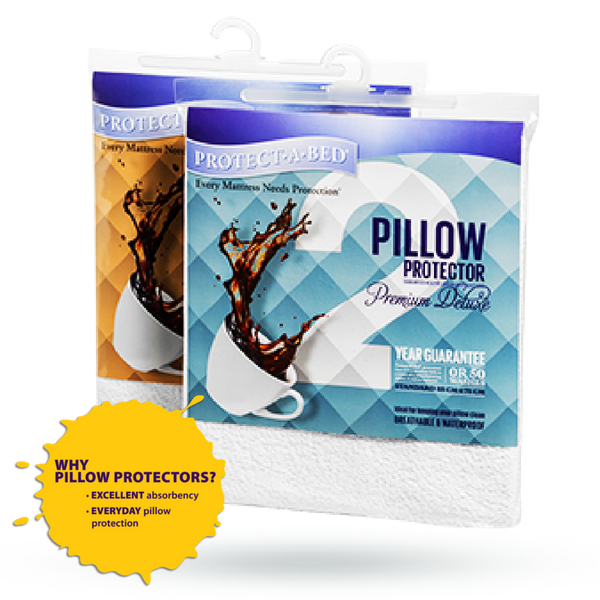 They are easy-to-use; simply slip them over your pillows, and zip them shut. 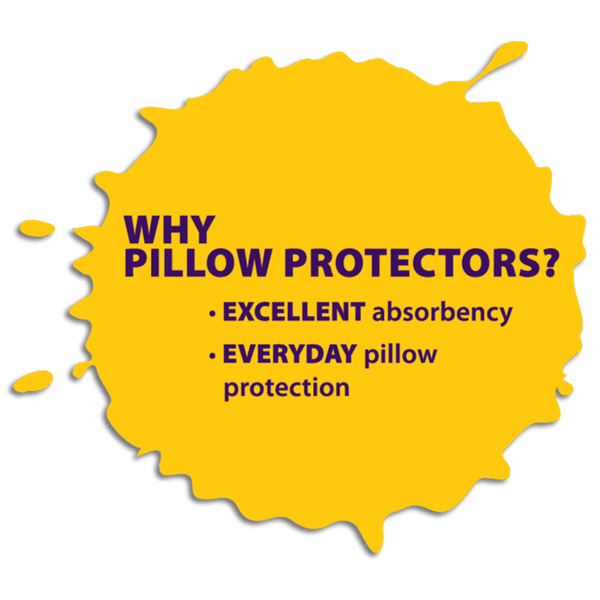 Our pillow protectors are backed by our 2 year guarantee. 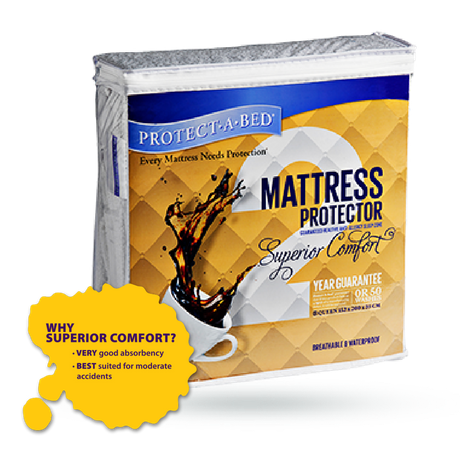 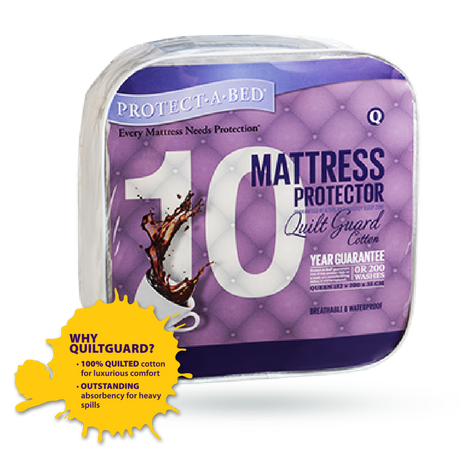 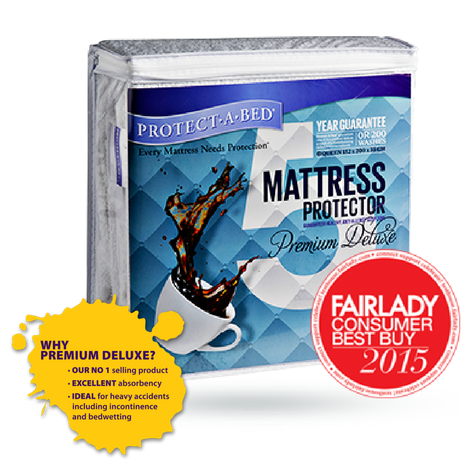 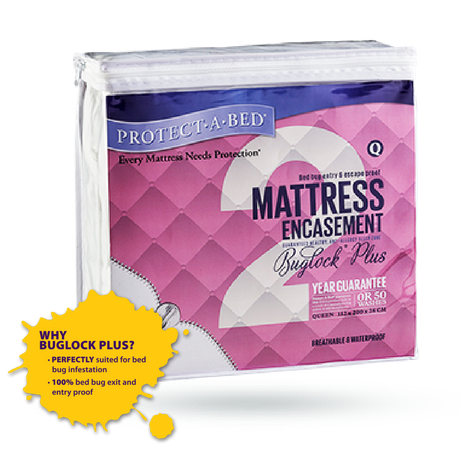 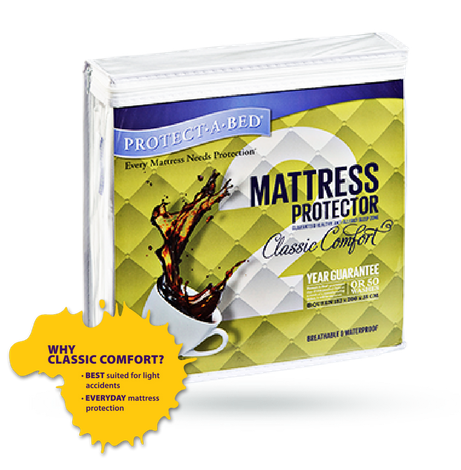 Protect-A-Bed® Premium Deluxe and Superior Comfort pillow protectors are guaranteed for 2 years against fabric and manufacturing defect.